There are really many possibilities for making tours and engaging in activities in our region. 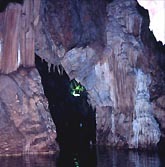 The shortest forays you can make, having Kleitoria and the Mont Helmos Hotel as your base, are to the sources of the River Aroanios in Planitero, where, besides the landscape, you will also enjoy delicious trout, and to the Cave of the Lakes situated a few kilometres further up, in the region of Kastria. 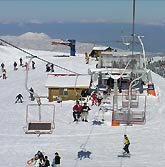 Following the same road uphill, you can choose either the Kalavrita Ski Resort or the town of Kalavrita, which of course does not need recommending. 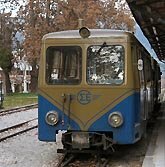 There, it is certainly worth taking the Odontotos Rack Railway train as far as Diakofto and back again, a truly unique ride. In addition, it is worth visiting the monasteries of Agia Lavra and Mega Spileo in the region, which have important and long histories. Also, if you are a lover of good wine, we recommend you to visit the local winery Tetramythos, where you can be given a guided tour and of course sample its creations. Another choice for you is, setting off from Kleitoria, to start your tour from the source of the River Ladon and then follow its course by raft, leading to its lake. There, you can have something to eat or drink coffee. In between, you can stop by the historical Pausanias’ Grapevine. 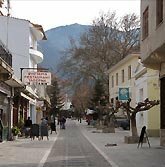 Heading in the same direction, you should really make a long visit to three historical and very interesting villages: Stemnitsa, Dimitsana and Vitina. Another choice can be a visit to the region of Feneos, with the beautiful lake of Doxa, the archaeological site of Feneos, and the Monastery of St George. In this direction, it is also worth making a foray to the lake of Tsivlos. 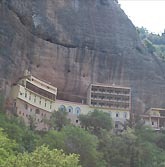 We could go on presenting you with still more choices such as the Monastery of St Athanasios, the Hermitage of Papoulakos, the Waters of the Styx, the international mountaineering route Ε4, the Aristarchos Telescope, the forest of Foloi, and last but not least the region of ancient Kleitoras situated just outside the limits of the village of Kleitoria. However, we believe that the best way for you to get to know the many beauties of our region is to have face-to-face contact with us, so we can recommend the best choices that match your time and moods. The Mont Helmos Hotel can be the base for a series of sports / nature activities. You can, for example, hire one of our bicycles and explore the surrounding area. Of course, you can also explore it on foot, taking one of the known or less known paths that run in the region. In addition, you can get to know it even on horseback, organising a short or longer ride on the horses that there are in our region. 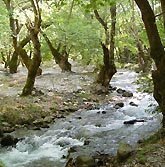 You can, of course, sail on either of the nearby rivers in the region, Ladon or Lousios, by raft, canoe or kayak. Enthusiasts of all kinds of motor vehicles will also find in our region a first-class track that will satisfy the needs of even the hardest to please among them.